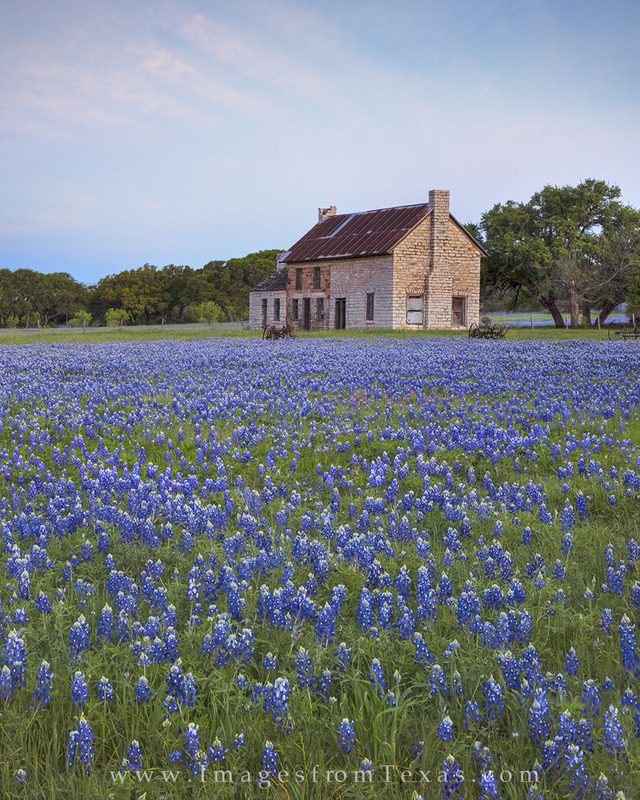 This old stone house in Marble Falls, commonly known as the "bluebonnet house," was built in 1859. Today is serves as a springtime wildflower attraction in the Texas Hill Country. Every few years, the bluebonnets surrounding this house turn the field into a sea of blue, bringing photographers and tourists from all across Texas. I've even seen a famous photographer from Wyoming here shooting the bluebonnets. Photo © copyright by Rob Greebon.